Heidi Eckert has penned a riveting novel with all of the elements of good storytelling: romance, a haunting past, a doubtful future, and an unforeseen present. The author uses a unique technique by referring to her protagonist as only “she,” “her,” and “hers” rather than naming her. This nomenclature normally would have been a difficult task, but Eckert writes in such beautiful language, that the reader is able to follow the protagonist. She is both invisible and visible in Eckert’s poignant words. This language is the heart of this intimate novel. Most readers, at one time or another, have felt this way. Eckert’s ability to reach her readers through language made reading this book a delight. At the novel’s outset, the protagonist goes to Gulf Shores to think about her empty life and to make the difficult decision of whether or not to divorce her husband. While there, she meets her next door neighbor, and a magical chemistry develops between them. They bare their most intimate secrets to each other, creating a special bond. They want to make love, but they are mired in their memories. The reader, however, hopes they’ll find love no matter how brief. The protagonist recounts her youth, when she allowed her parents’ feelings to rule her life. She reveals that she never consummated the love she felt for her first love. 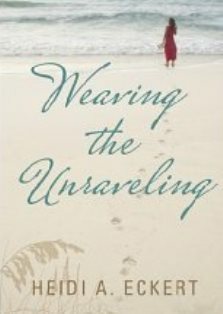 At the beach, she realizes her wrong choices and vows to begin living for herself again. He talks about his deceased wife, whom he loved passionately. He also reveals a painful truth that he had never shared with anyone. What a beautiful way to describe the beach and the healing nature provides. Dee Jordan is the editor of Bit and Spur: A Collection of Writing and Art, an international horse anthology.